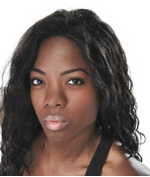 Cynthia Penn-Halal is an established choreographer and dance teacher with more than 15 years of experience in jazz, modern dance, classical ballet and musical theatre. Received awards from the Kennedy Center and the Jacques d’Amboise National Dance Institute. Danced with such major companies as The Joffrey Ballet, Agnes de Mille Heritage Dance Theatre, Alvin Ailey American Dance Theatre and Bella Lewitzky. In Venezuela, was resident choreographer for Radio Caracas TV and the founder/director of the Jazz Center of Caracas. Taught and choreographed in Japan, France, Switzerland and Morocco. Degree in modern dance from the North Carolina School of the Arts.